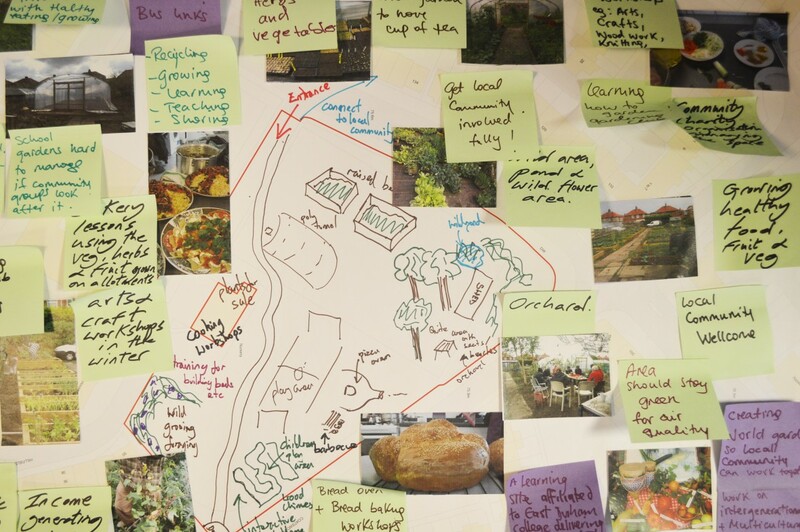 Place to be, a Place to Grow was a consultation project by The Windmill Hills Centre and the Comfrey Project to look into the future of the centre. 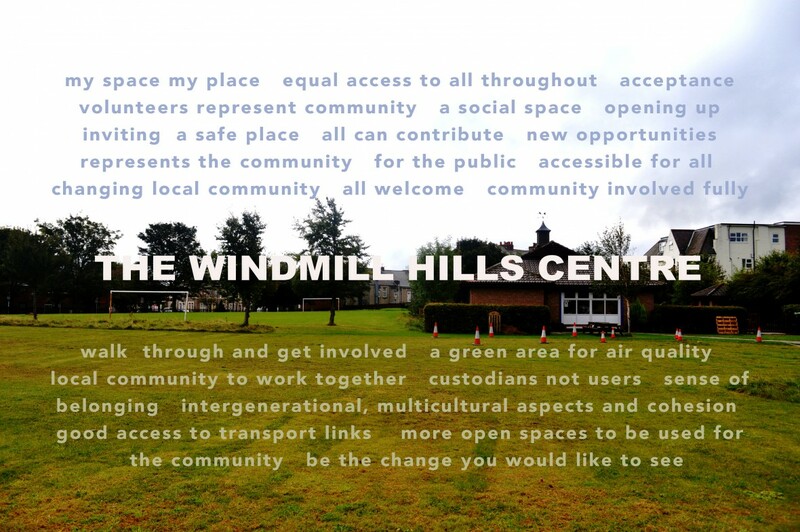 The aim was to encourage ideas and interest in the business plan and future potential for the Windmill Hills Centre as envisioned by the centre users. 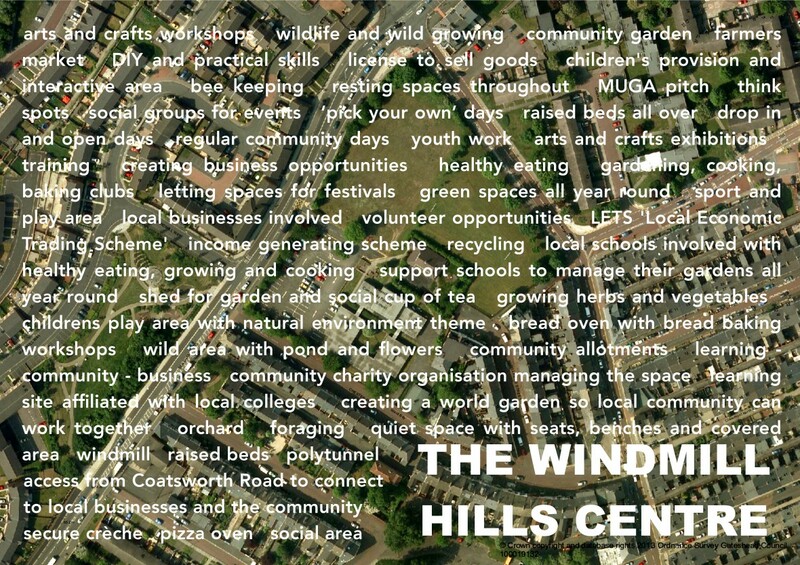 Recent conversations about future use of Windmill Hills Centre have considered ideas around gardening, cooking and ‘work, rest and play’. 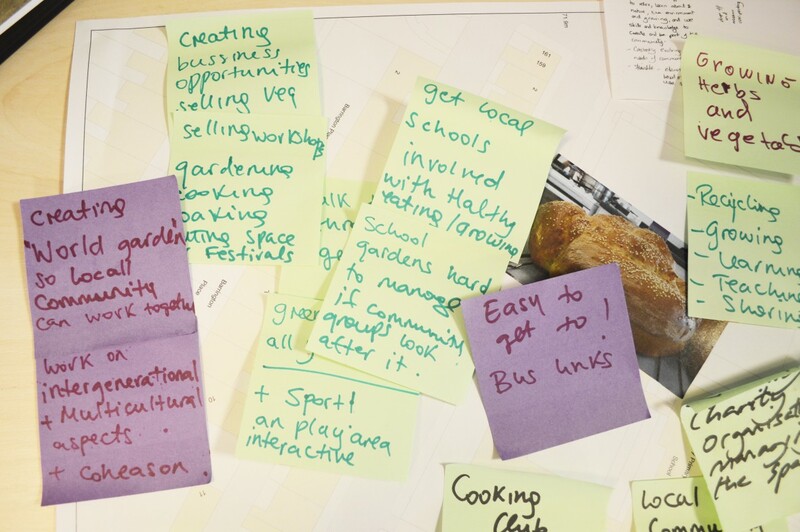 Supported by The Comfrey Project put forward the strapline ‘A Place to be, a Place to Grow’, which was used as a starting point to consider the future of the centre. 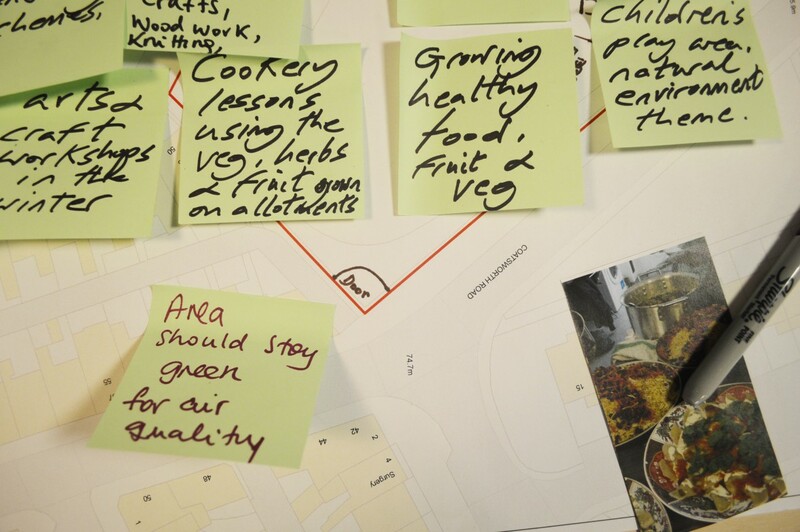 Through a series of workshops and interventions in various community venues and spaces in Bensham, the project used maps, photographs and images of recreational and cultural activities. Participants were encourages to comment and design their own idea of Windmill Hills could look in the future. The comments and ideas were collated and turned into two posters to envision a collaborative and cross community use of the centre for the future.